Shakespeare wrote, “We are such stuff as dreams are made on, and our little life is rounded with a sleep.” That quote highlights how deeply mysterious life is and how our waking hours appear to be woven from the same illusionary elements as our nighttime reveries. Psychologists, philosophers, and scientists have tried to solve the riddle of sleep for ages. Are dreams a symbolic language composed by your unconscious? Are they a form of therapeutic experience that helps you process intense emotions? Or are they the way that the brain consolidates memories from the previous day? There are many theories purporting to explain the significance of dreams, but objective explanations for the phenomenon remains elusive. Yet, it’s a remarkable fact that every species of mammal dreams. Humans, dogs and dolphins all experience REM sleep. Why would evolution select for this strange quality, unless it plays some fundamental role in the unfolding of conscious awareness itself? 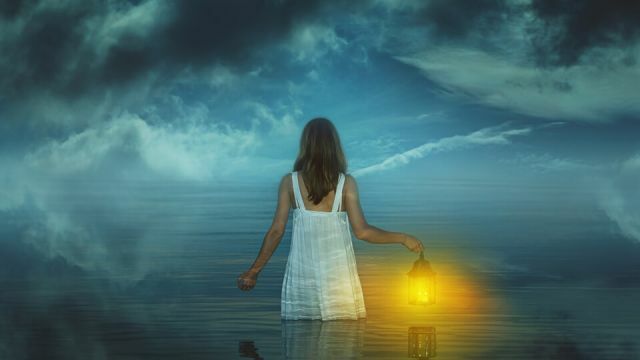 Researchers who investigate lucid dreaming believe dreams are a portal to a realm where creativity and fantasy come together so that we can exercise control and volition in the nocturnal realm. Put simply, lucid dreams are a state of awareness where a person is aware that they are dreaming to such an extent that they can steer the contents of their imagination in the direction they want to go. In ordinary dreaming, events and experiences appear to be beyond the dreamer’s control. But with lucid dreaming, the dreamer has a much higher level of awareness. As a result, they can explore the dream world and exercise a sense of self-control within that domain. Some proponents of lucid dreaming believe that the phenomenon is a kind of training ground for the evolution of consciousness and a path to enlightenment and self-realization. This is a compound that helps regulate sleep. It is a precursor to the feel-good neurotransmitter serotonin, which is critical to a healthy mood. Low levels of tryptophan have been linked to both insomnia and poor dream recall. Foods high in tryptophan include chicken, turkey, salmon, soybeans, tuna, pumpkin seeds and kidney beans. This vitamin helps convert tryptophan into serotonin. Turkey breast, grass-fed beef, tuna, sunflower seeds, pistachios, avocados and pinto beans are some foods that are good sources of vitamin B6. However, experts in lucid dreaming say that most people require B6 supplements in order to notice any difference in their dreams. For example, they point to a 2002 study, which found that subjects who took supplements of B6 at 250 milligrams reported dreams that were considerably more vivid. Health experts caution, however, that people should not consume high-doses of vitamin B6 (above 500 milligrams) for any prolonged time (unless directed by a physician). This is a form of the naturally occurring amino acid, tryptophan. 5-HTP is frequently prescribed as an over-the-counter dietary supplement to treat insomnia and depression. Members of the lucid dreaming community typically recommend 300 to 500 milligrams daily (but split up at three different intervals during the day). V8 is loaded with melatonin and vitamin B6. Melatonin is a naturally-occurring compound that promotes deep relaxation. Of course, B6 helps raise levels of serotonin, which studies show is correlated with more vivid dreams. Chocolate can have an ambivalent impact on sleep. It has magnesium, which can promote relaxation, but also compounds like caffeine (which can be stimulating). The cocoa in chocolate helps stimulate the release of endorphins (exogenous opioids) in the brain, which can produce something of an all-natural high. Members of the lucid community also highly recommend bananas, cherries and “brain foods” like fish. Many foods have mind-altering properties. The recipes for enhancing your dreams and your consciousness are as endless as your imagination. Hey Buddy!, I found this information for you: "These 5 Foods And Drinks Can Help You Control Dreams". Here is the website link: https://www.thealternativedaily.com/5-foods-drinks-can-help-control-dreams/. Thank you.